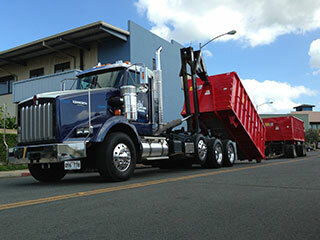 Tajiri demolition and disposal has various size bins to accommodate and meet your specific needs. Whether it’s for construction, demolition waste or house renovations, dirt, concrete or green waste. We offer competitive rates and island wide service. Please click on link for the bin rental agreement. Prices are subject to change. Please call (808) 841-0217 for up to date information or to order a bin. qualified and licensed contractors by contacting us today at (808) 841-0217 in Honolulu, Hawaii.